In June of 2012 GCBO hosted our first Summer Bird Camp for youth ages 8-11. It is a week long day camp. The Coastal Wild Bird Trunk developed several years ago here at GCBO was the backbone of the week’s activities. Each day of Camp featured a variety of outdoor learning experiences including: bird identification; how and why birds communicate; bird sketching with a local artist; catching and examining wetland critters eaten by wading birds; conducting a mini-research project entailing recording bird sightings at the same location and time each day and analyzing the data; and finally, graduating as a certified “Bird Scene Investigator” at weeks end. Camp has continued to be successful and we look forward each summer to having a great group of campers. Campers enjoying one of the fun activities during Summer Bird Camp. 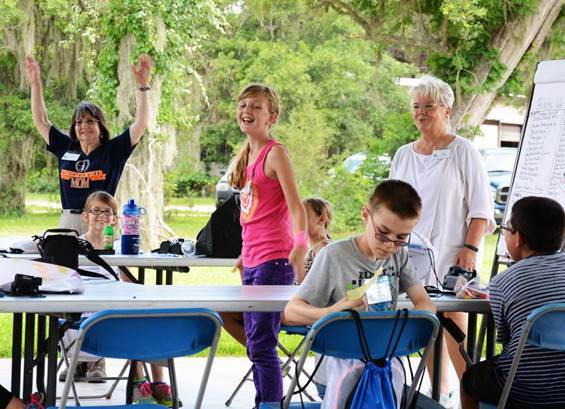 In the fall of 2014 the Gulf Coast Young Ornithologist (GCYO) activities were initiated. This group is spearheaded by our board member Mike Williams. Mike grew up in England where he was very involved in a similar group. His ideas and lots of time have gone into getting this concept underway. It is for school age kids and each month has a different focus. 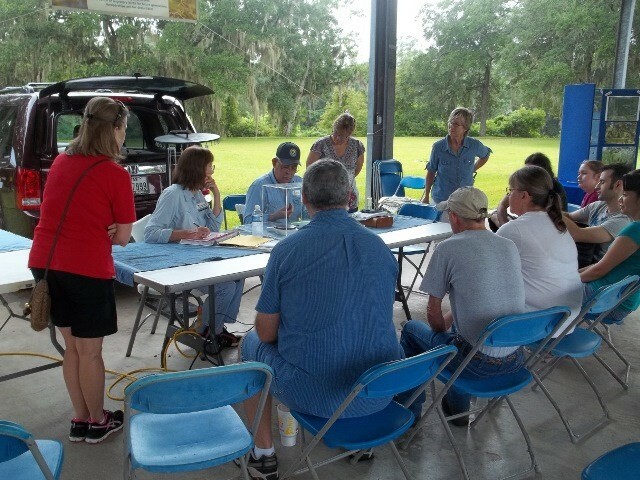 On the third Saturday morning of every month coinciding with bird banding the GCYO meet from 9-11. Check the GCBO home page for each month’s topic. For 7 years GCBO was the organization responsible for the successful coordination of the Great Texas Birding Classic. Although the 15th annual 2011 Classic was the last one GCBO organized, the conservation work that resulted is continuing. The Classic raised and contributed $789,500 for bird habitat conservation along the entire Texas coast – 83 individual grants. The grants were awarded for habitat restoration, acquisition and human accessibility enhancements.